It’s a nice open space there, isn’t it? 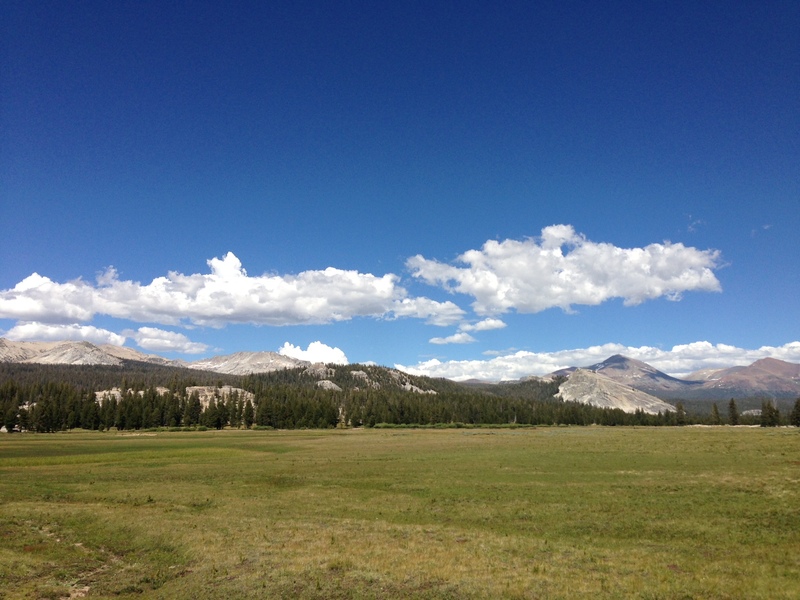 I took that picture on the drive over Tioga Pass, headed out to Mono Lake and the wide sweet-scented spaciousness of the eastern Sierra. Tangibly and intangibly, the “stuff” we’ve accumulated over time clutters up our spaces. Old telephone bills take up space in the filing cabinet, old clothes take up space in the dresser and closet, and old ways of thinking or being take up emotional space and can make it difficult to move forward. I spent a couple of days last week decluttering my home and garage. It feels good to get rid of boxes of old papers, clothes that no longer fit, things I’ve been saving for years because they might come in handy someday. My trash can and recycle bin are full for this week’s pickup and I have a trailer-load staged for a dump run later this week. I can pat myself on the back for this work. It’s never truly done for a pack rat like me, but I made a good dent in it last week. This technique is best for things that have been resolved in another way first; the major work has been done, and all that was left is to clear out the dust after it settled, air out the house as it were. I invite you to take the time to perform your own ritual of release. If the one I describe doesn’t resonate for you, use another that does. Whatever it is you’re releasing: write it on paper and burn it in a fire; wash your hands of it, literally and metaphorically send it away down the drain. Do what feels right, but let it go. Curious about shamanism and want to know more? Spend a day learning what shamanism is about, and learn to journey for yourself! We’ll spend some time talking about what shamanism is, and how it fits into today’s world. Then, you’ll get to experience it for yourself. I could talk for days, but that’s not half as much fun as letting the experience speak. Journeying is an altered state, accessed by listening to drumming or other rhythmic percussion. It gives us the ability to receive direct guidance and healing, find answers, and release limiting beliefs. During the day we will do two journeys: you will journey to find a Power Animal and the other will be to answer a personal question. Some of the questions you have now, you’ll see they answer themselves – you will know you’re not making it up, and you will be able to practice on your own afterwards, should you choose to. Bring your questions, a bag lunch, notebook, eye pillow or bandanna, and a rattle if you have one. This workshop is co-taught by Moria, a shamanic practitioner and teacher who does healing work on the etheric / spiritual levels, and Claudia, an energy healer / body worker and flower essence practitioner. Their complementary perspectives show two of the many ways shamanic practice can inform and express in a modern world. This entry was posted in Spirit and tagged declutter, new moon, release, shamanism, spaciousness. Bookmark the permalink. sage advice and just the nudge I needed.